The Fender Limited Edition Mahogany Blacktop Stratocaster HH is here presented in Crimson Red Transparent with Chrome Hardware. Blending the power of two high output alnico humbuckers with a mahogany body, the result is tone like no other Strat, combined with that still-familiar Strat feel. The black headstock with gold Fender logo provide a striking focal point, while skirted amp-style control knobs further contribute to the guitar’s custom shop look. If you’re looking for a Strat with a difference, this could be the one! The Fender Limited Edition Mahogany Blacktop Stratocaster HH is now available from Merchant City Music - Glasgow’s longest established guitar specialist. Visit us in the shop, where a member of staff will be happy to talk you through its features and set you up for a demo. Alternatively, buy online for fast delivery to the UK, Europe and beyond. Every guitar we sell is rigorously checked over and professionally set up before it goes out the door, ensuring it’s playing its very best. The setup can also be tailored to your preferences; just let us know! The Fender Limited Edition Mahogany Blacktop Stratocaster has been produced exclusively for Fender EMEA. Combining striking visuals and powerful pickups, the end result is a unique and inspiring instrument. 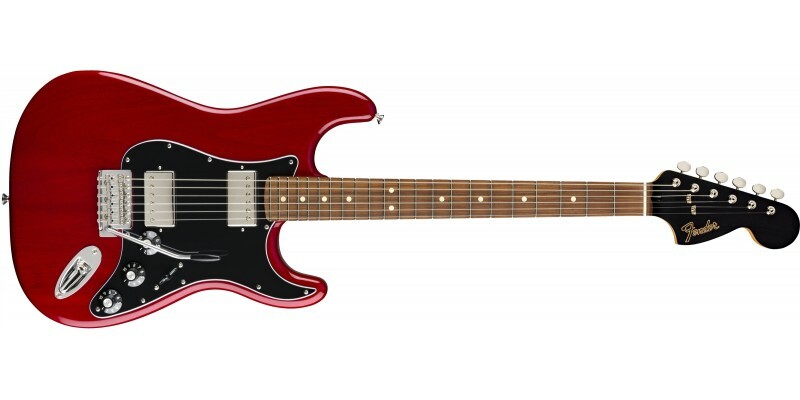 The unique Mahogany body is a step away from the Fender norm, producing a warmer tone than Strat players will be accustomed to. 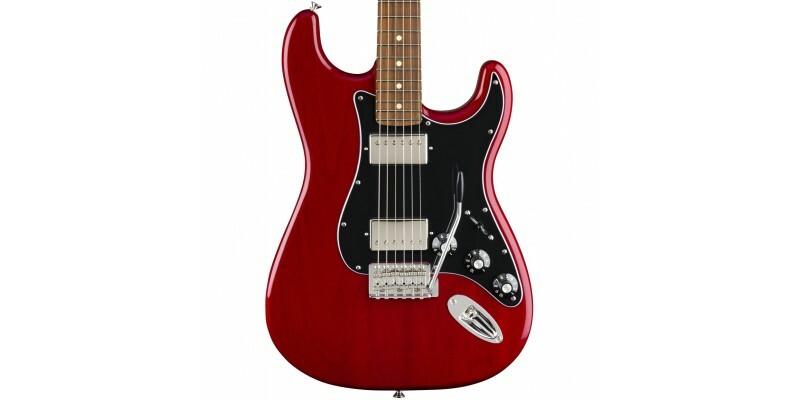 Chrome vintage style hardware complements the Transparent Red body colour well, while High Output Alnico Humbucker Pickups provide effortless overdrive and sumptuous tone. Maple Neck with Pau Ferro Fretboard. C Shape Neck & 9.5” Radius fretboard. High Output Alnico Humbucker Pickups.